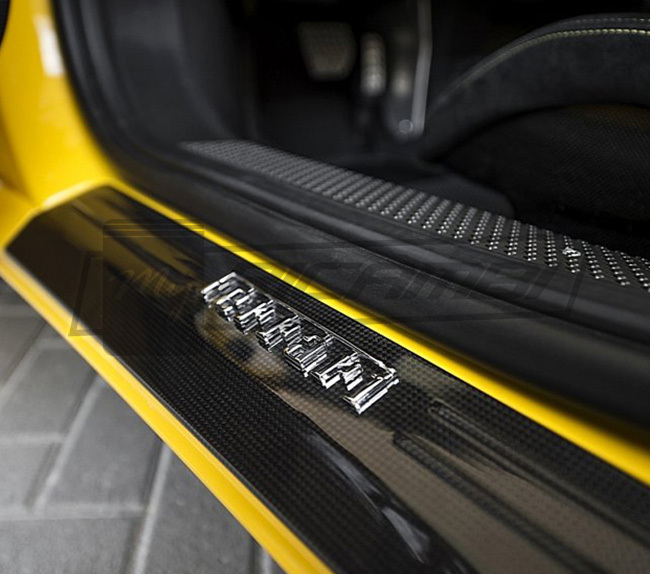 This Carbon Fiber Door Sills (Also called "kick plates" or "kickplates") were made to fit Ferrari 458 (all models), and to replace the aluminum OEM ones. 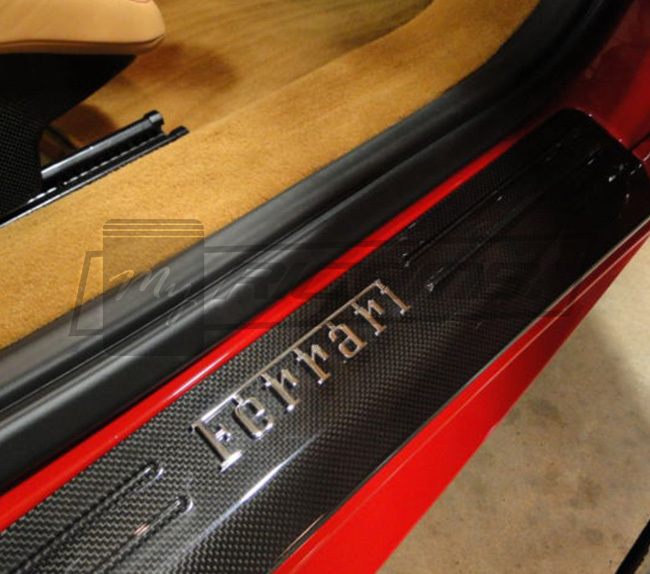 With an impeccable finish, these door sills were made using the exact same quality carbon fiber and weave as used by Ferrari, which will allow you to keep the OEM look on your Ferrari 458 at a fraction of the OEM part's cost. 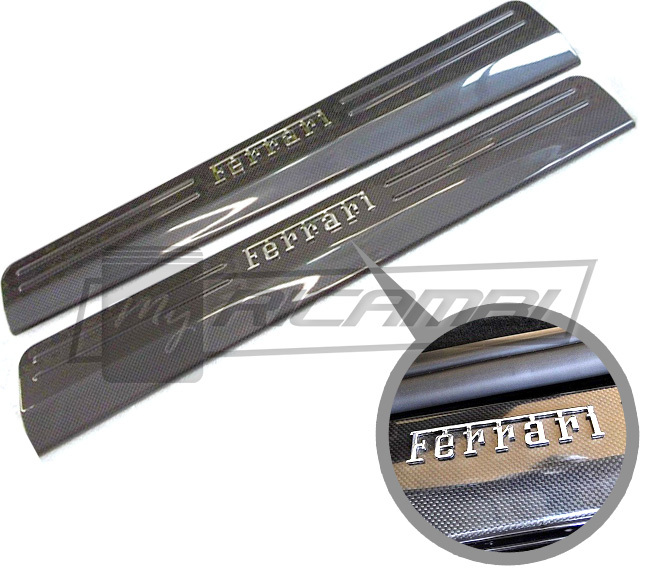 The Ferrari logo (Ferrari p/n 220354) was added in order for the door sills to add more originality to your carbon fiber replacement part.. These Door Sills can be installed quite easily. Simply remove the Aluminum ones, and place ours.